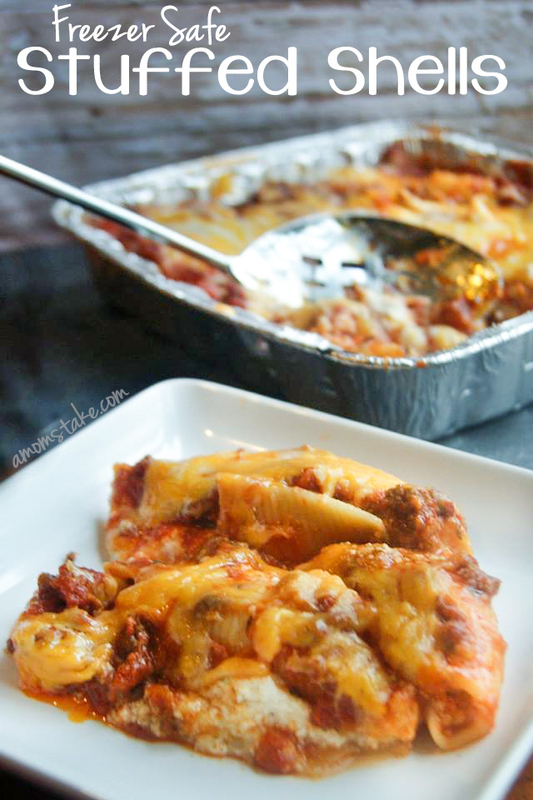 Stuffed Shells is one of my favorite go to meals because its easy, inexpensive, filling, freezes well, and is just plain delicious! Everyone in my house loves this for dinner, add a salad and garlic toast and its a perfect weeknight or Sunday supper feast! It may seem like a lot of ingredients but I promise you this is easy as can be to make. Begin by cooking your noodles following the package directions, or 8-10 minutes, until tender. Rinse the noodles in cool water to make them easier to handle. While your noodles are cooking, brown ground beef and season to taste with salt and pepper. Add a jar of spaghetti sauce to your beef when it is fully cooked. Spread about a third of this meat sauce on bottom of your pan or baking dish. In a medium bowl you will combine your ricotta, egg, 1 cup of your mozzarella, parmesan cheese, basil, oregano, rosemary and Garlic salt. Cream all of these ingredients together until smooth. 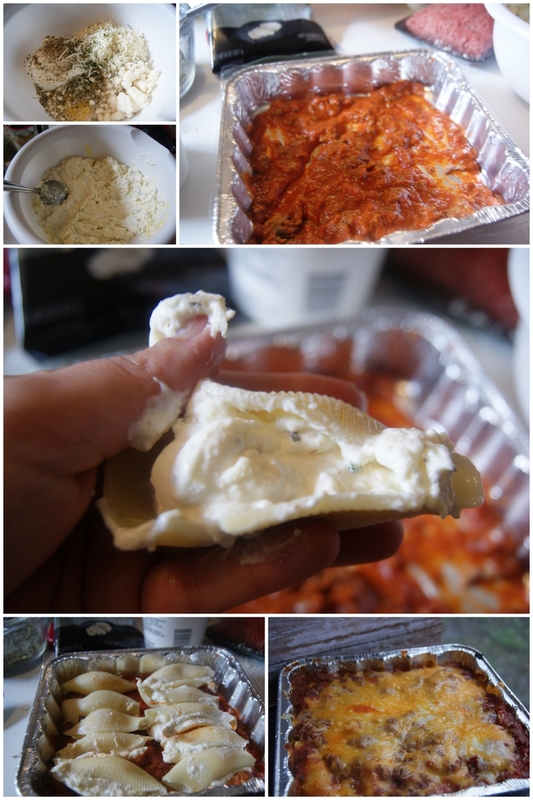 Next, take your cooked shells and fill each shell with ricotta mixture. Place them into your pan on top of the sauce in rows. When you’ve finished stuffing all your shells, top the shells with the remaining meat sauce. Sprinkle the rest of your cheese on top of the dish. Now, you can either bake this dish right away and serve it, stick it right into the freezer uncooked, or prebake the dish and then freeze it. Freezer Directions: To freeze your dish, cover the pan with foil and freeze. Make sure you include the directions on top of the foil so you will be ready when it’s time to cook it. When you’re ready to serve, thaw in the fridge overnight or cook straight from the freezer. Plan a full extra hour to bake if cooking from frozen and not pre-baked. Cooking Directions: When you’re ready to cook your meal, cook at 350° F and bake for 50-55 minutes, until top is golden and bubbly. 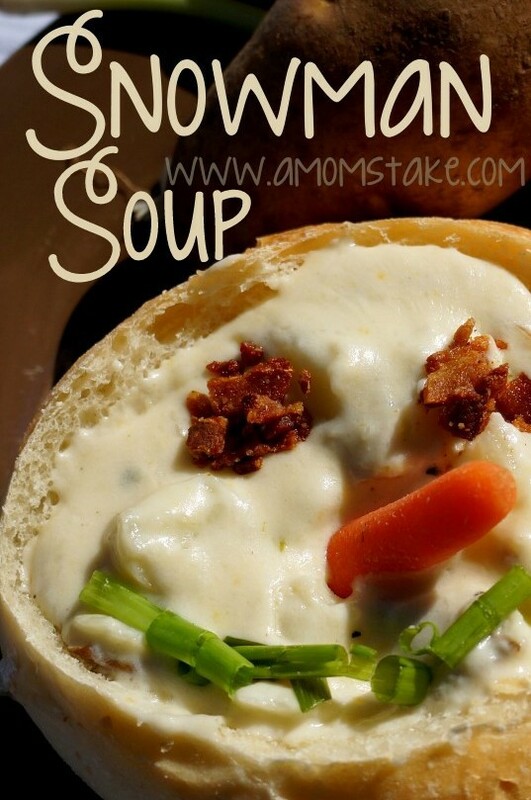 Here’s another easy meal you can make and freeze half the recipe for later, Creamy Baked Potato Soup. Hop on over to see that recipe too!